Summary: This morning, Kady thought breaking up with Ezra was the hardest thing she’d have to do. This afternoon, her planet was invaded. The year is 2575, and two rival megacorporations are at war over a planet that’s little more than an ice-covered speck at the edge of the universe. Too bad nobody thought to warn the people living on it. With enemy fire raining down on them, Kady and Ezra—who are barely even talking to each other—are forced to fight their way onto an evacuating fleet, with an enemy warship in hot pursuit. But their problems are just getting started. A deadly plague has broken out and is mutating, with terrifying results; the fleet's AI, which should be protecting them, may actually be their enemy; and nobody in charge will say what’s really going on. As Kady hacks into a tangled web of data to find the truth, it's clear only one person can help her bring it all to light: the ex-boyfriend she swore she'd never speak to again. Told through a fascinating dossier of hacked documents—including emails, schematics, military files, IMs, medical reports, interviews, and more—Illuminae is the first book in a heart-stopping, high-octane trilogy about lives interrupted, the price of truth, and the courage of everyday heroes. I received an ARC copy of this book at BookCon this past May, and let me just say, it's freakin' BEAUTIFUL. The pictures I was going to take and upload don't even do it any justice. For an ARC, Illuminae is beautifully crafted, with amazingly intricate detail that stunned me. I had no idea what this book was before I walked past the galley drop at BookCon, but Amber seemed to know about it and we decided to each grab a copy and give it a try. I can honestly say that I'm so glad I did. 1.) Science-Fiction books aren't really ever my thing because I get too confused when all of the technical stuff goes on. 2.) The entire story is told through documents, which sounds like something that could confuse me a lot. 3.) The book is 600 pages, so it's a pretty hefty-looking and intimidating piece of literature. However, the entire complexity surrounding the book drew me in, and I found myself not only just understanding the story, but becoming hooked on it. 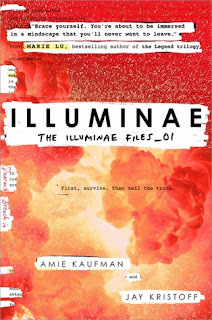 There are so many different aspects of Illuminae - the actual war going on, Kady and Ezra yearning for their parents, dealing with one another, craving a relationship they can't have, and finding their place among the new battleships they've been placed on. 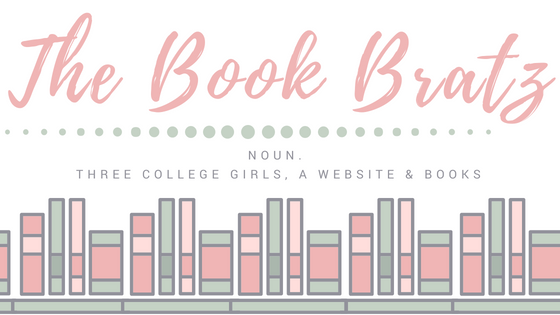 The book has a little bit of something for everyone - drama, romance, space, wars, relationships, and technology. Everyone can definitely pick up Illuminae and find at least one thing that suits their fancy. [Still spoilers in this paragraph, move onto the next one! ]And then I was so mad. Based on Kady and Ezra's conversations I had really taken a liking to him and it gave me such a sucker-punch to the feels to find out that AIDAN had been pretending to be him for so many of their conversations. I really almost cried a few times, because I tried to put myself in Kady's shoes and I just couldn't fathom the utter hurt and loss she must have been feeling. AND THEN THE END MADE UP FOR IT. When Ezra came to see Kady my heart nearly shattered into a million tiny happy pieces at them being together again, after all of their time being apart and all of Kady's time spent traveling to a dangerous battleship to risk her life and find him. It was all so great. I even started to feel for AIDAN a little bit, too. Just a little bit. The only thing that kept me from giving this book five stars was that at certain points, so much was happening and the documents switched around so much that I had to take a few minutes to collect my thoughts and figure out where I was again. But for the majority of the novel, aside from those few dramatic instances, I was able to follow along just fine. All in all, Illuminae was a dramatic, fast-paced read that I really enjoyed. The book breaks so many barriers, especially in the aspect of being told entirely though a dossier of military documents. Kaufman and Kristoff are wise, creative, and excellent writers - especially when it comes to plot twists. I will be impatiently waiting for the second book of The Illuminae Files, and I'll be one of the first people in lines to get my hands on it! 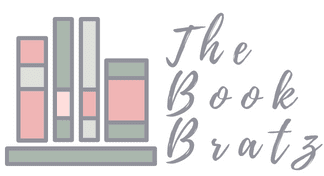 Fans of TTYL, The Lunar Chronicles, dramas, romances, and sci-fi alike will all find something to enjoy in Illuminae. I am becoming increasingly glad that I picked up this book at BookCon and I will definitely be pushing it on to other people! OH MY GOD THIS REVIEW JUST MADE ME SUPER EXCITED FOR THIS BOOK! IVE BEEN WANTING TO GET MY HANDS ON THIS BOOK FOR AGES. OH WELL ONLY A FEW DAYS TO GO! i've never read any of kaufman or kristoff's books but i have a strong feeling they will blow my mind with their writing, like you've said it's dramatic and "beautifully crafted". great review! As a big fan of science fiction Illuminae was an absolute treat!! I was a bit worried too about the format, wondering if I'd be able to connect with the characters or the story but I so shouldn't have worried!! Glad to hear that even if you don't usually read science-fiction this one you enjoyed loads Jessica! Ahh, I had all the same feelings! I was also hesitant because I don't understand sci-fi books, and I also got mad when I read the plot twist! Amazing review. I started seeing this one all over the place right after BEA/BookCon and just the way the story is told seemed SO intriguing! Glad to hear it's as good as it looks. I'm not really a sci-fi fan either but I'll definitely be getting this one.